Most nail enamels contain Acetone and Toluene that often cause skin irritation and lead to dull and fragile nails. Colour DEW™ is a range of exciting nail enamels that are completely safe as they are Acetone, DBP and Toluene free. Packaged uniquely, they come with a flat & sturdy brush applicator. And the best quality? They dry so fast that you are spared from the trouble of repeatedly re-colouring your nails. 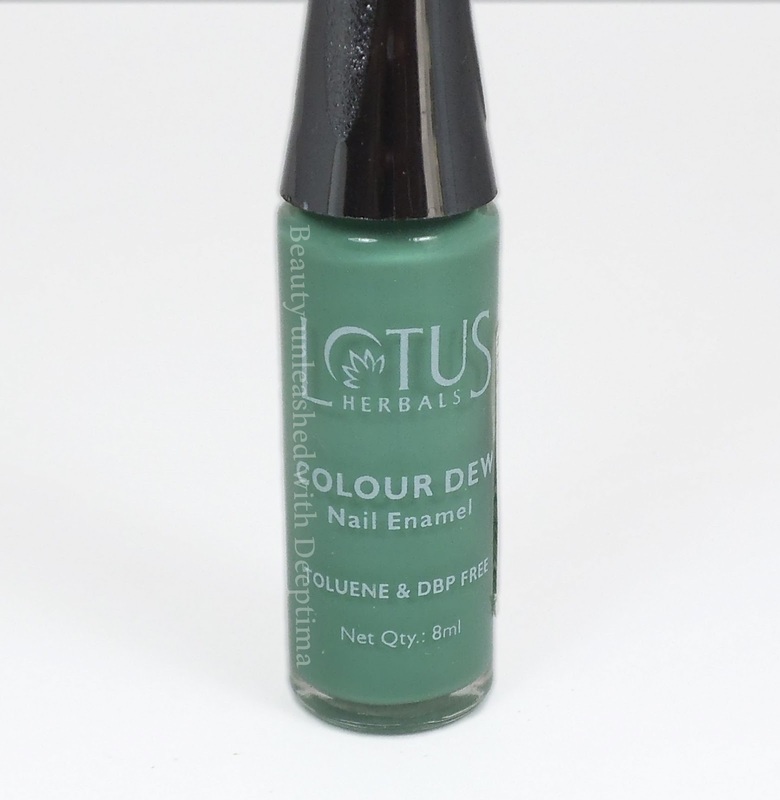 Lotus herbals Colour Dew Nail Enamels are my absolute favorite, i love the long and sleek body and above everything i love the long brush applicator. These nails polishes are Acetone, DBP and Toluene free making them safe for your nails.The long handle make the application 10 times easier even while using your non-dominant hand and the long flat brush gives control and decent coverage in one coat. 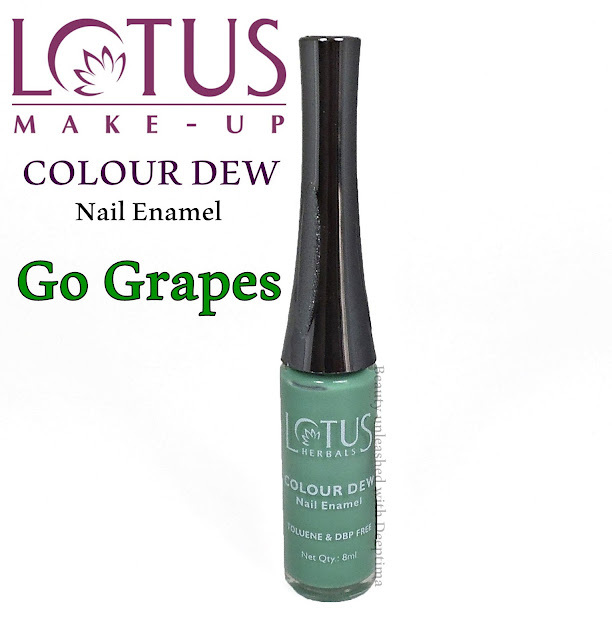 Colour Dew nail polishes come many shades to choose from and offer good quantity and quality in affordable price. The Colour Dew nail enamel gives a glossy finish without applying a top coat. 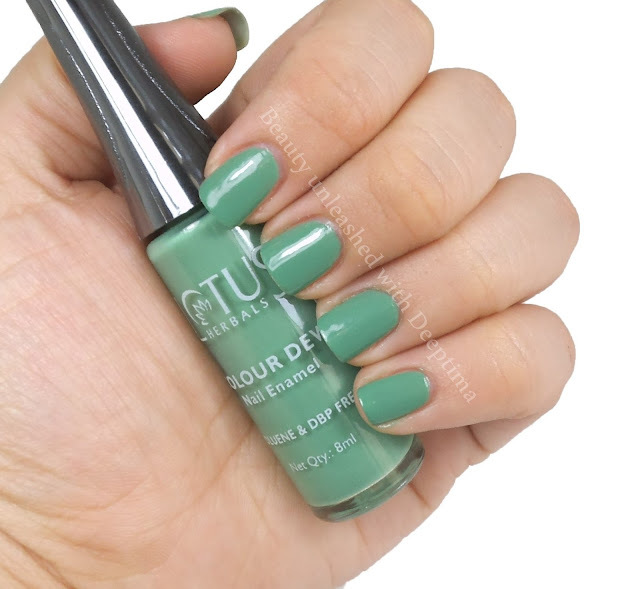 The staying power is also commendable , today is the 6th or 7th day after i applied this colour and trust me it has not chipped at all while i continued with by daily chores. Now here all my fellow blogger and vlogger will agree with me.. you carefully and patiently apply a beautiful nail paint for review or video, wait for it to dry and then you either fix your camera on tripod or gather the required products and there you go...you got a HUGE dent/scratch on your nails and this is not it.. you try to clean it with nail polish remover to reapply it and realize that you accidentally ruined a nail or two with nail polish remover... is it just me ?? Comment below and please tell me am not alone !!! So , the point of this story tragic story, is that this nail paint dries up fast and while you finish you first coat your nails are already semi dry and ready for second coat. SAVES TIME !! This time i have nothing bad to say in this review , as i said earlier i LOVE these nail polishes. Product send for review but my review is unbiased .